We are so sad to report that Koko, one of the world’s most beloved gorillas, has passed away in her sleep at the age of 46. A gorilla’s average life span is 35–40 years. Koko, a western lowland gorilla, was born on the Fourth of July in 1971. According to Francine “Penny” Patterson, her long-time trainer, Koko was able to engage in 2-way communication ever since she was an infant. This brilliant creature came to understand more than 1,000 signs and approximately 2,000 English words. 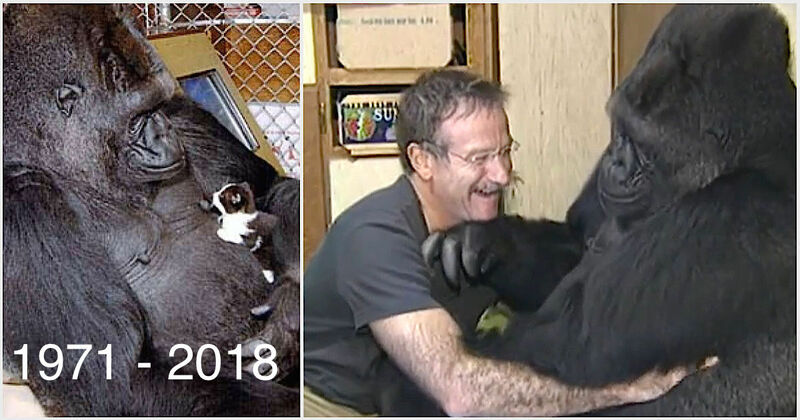 The Gorilla Foundation says it will honor Koko’s legacy by working on wildlife conservation in Africa, a great ape sanctuary in Hawaii and a new sign language app.